Shapes Large, curly or plain leaves arranged in the form of rosette. Kale is cabbage-like plants native to the eastern Mediterranean or to Asia Minor. It is a member of the cruciferous family of vegetables, which also includes cauliflower, bok choy, cabbage, broccoli, collard greens, mustard greens, and Brussels sprouts. Its botanical name is Brassica oleracea L. var. 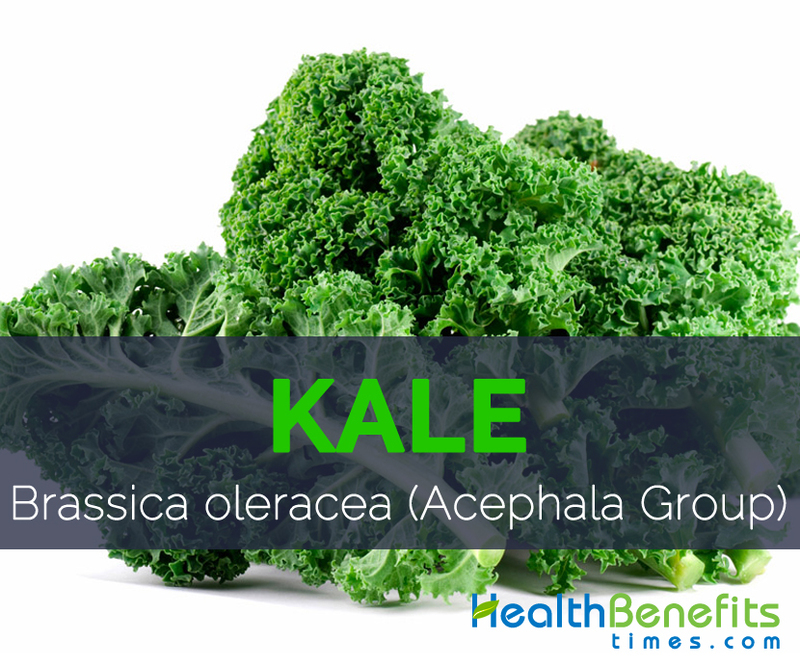 acephala (the term acephela reveals that this member of the Brassica family of vegetables does not form a head, like its other cousins broccoli and cauliflower). Kale is also known as Borecole, non-heading cabbage and broccoli and it have gained recent widespread attention because of its health-promoting, sulfur-containing phytonutrients. Dinosaur, Lacinato, ornamental kale, Nero Di Toscana, Dwarf Blue Scotch, Curly kale, Redbor, Red Russian, White Russian, Wild Garden Blend, Winterbor and Winter Red are some well-known varieties of Kale. Kale is an annual plant sized six or seven feet which is found growing in cool season and prefers a sunny location. It thrives well in fertile, well-drained soil rich in organic matter. Kale plant has erect stem that can grow close to the ground. Leaves are normally large, curly or plain arranged in the form of rosette. It has yellow flowers which are arranged in the clusters on top of the flowering stem. 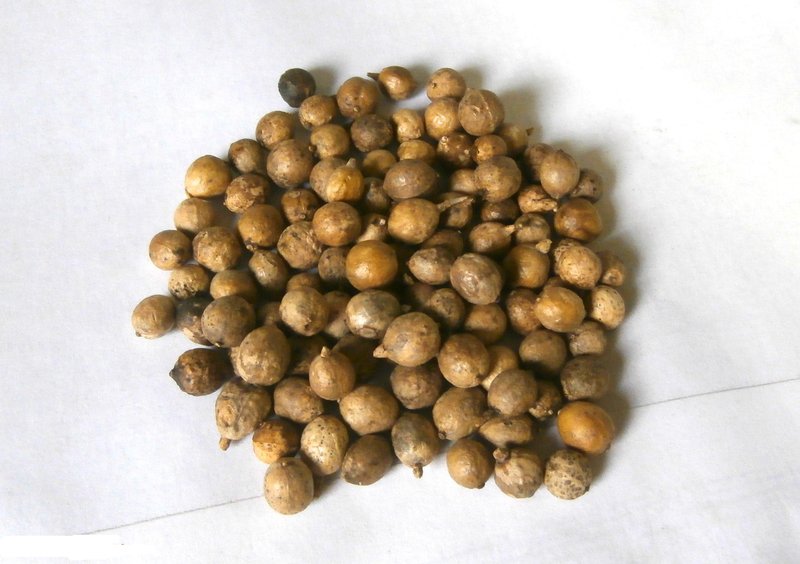 Fruit of kale is seedpod filled with numerous seeds. Seeds resemble those of cabbage and are small and black colored. It is considered to be closer to wild cabbage than most domesticated forms. 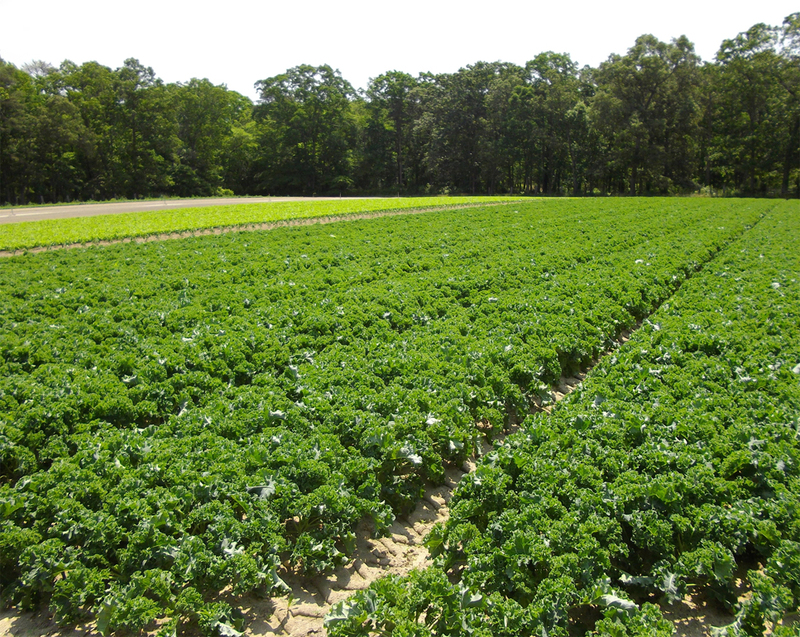 The peak season for harvesting Kale starts from November until March. Kale is widely distributed from their place of origin and is found growing on the coasts of northern Europe and Britain. As it is a hardy cool-season green of the cabbage family leaves of kale plant are normally big, curly or plain which are arranged in the form of rosette. They are light or dark green, violet-green or violet-brown colored. It has sweet and succulent flavor, but the taste of kale may differ according to their growing environment. Plant which is grown in warm temperature bears leaves that are slightly bitter in taste whereas plant grown in cold weather has got tasteful natty-flavored leaves. In addition to serving as ornamentals, kale plants are used for greens as a garnish or in salads and may be cooked in place of cabbage. Kale is supposed to have originated in Asia Minor and have been transported to Europe around 600 BC by groups of Celtic wanderers. Both the ancient Greeks and Romans are known to have grown Kale. However several varieties of Kale have been grown for thousands of years. Because of its extreme nutritional value and delightful taste it is now grown throughout the world. 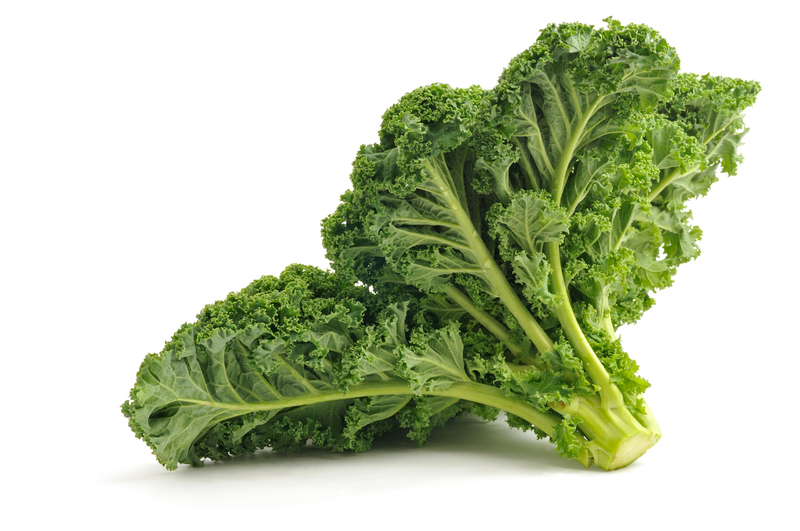 Apart from their delightful taste Kale is a good source of nutrients, vitamins and minerals. Consuming 130 gram of kale cooked without salt offers 1062.1 µg of Vitamin K, 885 µg of Vitamin A, 53.3 mg of Vitamin c, 0.541 mg of Manganese,0.203 mg of Copper,1.17 mg of Iron,0.179 mg of Vitamin B6 and 94 mg of Calcium. Moreover many Amino acids like 0.03 g of Tryptophan, 0.11 g of Threonine, 0.148 g of Isoleucine, 0.173 g of Leucine, 0.148 g of Lysine and 0.023 g of Methionine are also found in 130 gram of cooked kale. Kale, also called Borecole is a form of cabbage in which the central leaves do not form a head. It is considered to be closer to wild cabbage than most domesticated forms. Kale has gained recent widespread attention because of their health-promoting, sulfur-containing phytonutrients. It is found used both in culinary as well as ornamental purposes. Due to its extensive beneficial nutrients, vitamins and minerals content it has been used to heal various health related problems since ancient times. Cancer is a one of the awful disease, categorized by uncontrolled growth of cells. Kale is loaded with compounds which are supposed to have protective effects against cancer. Sulforaphane is actually a compound which is proven to fight the formation of cancer at molecular level. Cholesterol performs several important functions within the body. The liver turns cholesterol into bile acids, which are then released into the digestive system whenever we eat a fatty meal. Kale contains bile acid sequestrants, which helps to lower cholesterol levels which lead to a reduced risk of heart disease over time. One current research found that daily consumption of kale juice for about 12 weeks increased HDL (the “good”) cholesterol by 27% and lowered LDL levels by 10%, while also improving antioxidant status. One of the most common consequences of ageing is that eyesight becomes poorer. Luckily, there are several nutrients in the diet which can help avoid this from happening. Kale has numerous properties that make it a weight loss friendly food. 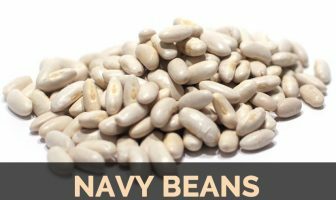 It is extremely low in calories… but still offers substantial bulk that helps you feel full. Because of the low calorie and high water content, kale has got a low energy density. Kale, just like other leafy greens, is extremely high in antioxidants. Kale consists of beta-carotene, vitamin C, as well as various flavonoids and polyphenols which help to stabilize oxidative damage by free radicals in the body. Use the larger, dark greens for Pizza toppings, stir-fries or soup. Smaller, paler green leaves to anchor or mix into fresh garden salad. Tender kale greens can provide an intense addition to salads, particularly when combined with other strongly flavored ingredients as soy sauce-roasted almonds, dry-roasted peanuts, red capsicum flakes, or a sesame-based dressing. When baked or dehydrated, kale has consistency similar to that of a potato chip. Curly kale varieties are typically preferred for chips. In the Netherlands, curly kale, also known as boerenkool and is very frequently used in a traditional winter dish called “boerenkoolstamppot”, a mix of curly kale and mashed potatoes. Kale is mixed with mashed potatoes to make the traditional dish colcannon and served with sausages in Ireland. A variety of kale, kai-lan, is a common vegetable in China, Vietnam and Taiwan where it is frequently combined with beef dishes. A traditional Portuguese soup, caldo verde, combines pureed potatoes, olive oil, diced kale, broth, and, generally, sliced cooked spicy sausage. In the eastern African Great Lakes region, a leaf cabbage variety called sukuma wiki is very popular in making a stew or side dish to accompany the staple food ugali. Various kale types are also eaten throughout southeastern Africa, where they are typically boiled with coconut milk and ground peanuts and served with rice or boiled cornmeal. Kale is part of many dishes, such as casseoula, polenta with kale, Parmesan cheese and olive oil and pizzoccheri, buckwheat tagliatelle served with kale, melted fontina cheese and potatoes in Italy. Curly kale is used in Denmark and southwestern Sweden to make (grøn-) langkål or långkål, an essential dish on the julbord in the region, and is usually served together with the Christmas ham. In Montenegro it is mainly popular in the winter, cooked with smoked mutton (kastradina) and potatoes. Kale is often served braised, either alone or mixed with other greens, such as collard, mustard, or turnip in southern United States. Kale juice is a popular dietary supplement in Japan. In Turkey, especially in Eastern Black Sea Region, kale soup, kale sarma, kale kavurma, kale turşu are all very common and popular dishes. Because of its high vitamin K content, patients taking anti-coagulants like warfarin are encouraged to avoid kale. Consuming large amount of leafy greens can cause bloating, gas, and constipation. Calories 36 Kcal. Calories from Fat 4.68 Kcal.